Recently I answered a question on the Google Blogger Help forum by including a link to How to build traffic to your blog (click "BACK" button to get back to this page). She alerted me to the fact that the link leads to a blank page. I checked and found that it does lead to a blank page. I went the Dashboard of that blog, get to the "EDIT POST" tab, and click "VIEW" in that post, and got a blank page too. I copied the URL and pasted it into the address bar - same result. I tested to see if it is something in the post that lead to this problem by copying word for word (in the EDIT HTML mode, everything in the post editor and pasted it in a new post Duplicate: How to build traffic to your blog (click "BACK" button to return to this page) and the post was viewable, so it wasn't anything in the post. Someone with the nickname Wasted posted that I may need to republish the whole blog. I did that and sure enough, that problem post was viewable again. So folks, perhaps it may be a good idea to republish the whole blog once in a while to ensure that you don't face a similar problem. You wouldn't want to view your individual post page one by one to verify that the problem don't exist. Anyway, I think I will also alert Blogger support of this problem, and hope that a similar problem will not exist in the Blogger Beta blogs. 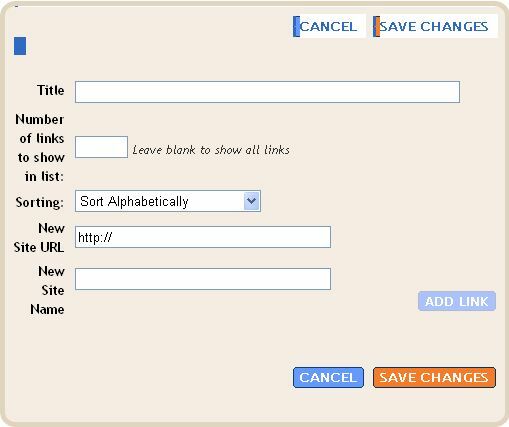 Blogger Beta: How to add a link list. There are four fields for you to add and 1 drop-down menu. Fill in the title, for example, Blogger Resources. It is best to leave the "no of links to show in link list" blank so you don't have to worry about how many links you can add (no maximum). Add in the site URL and then fill in the site name (title or description). Then click "ADD LINK". The site name/title/description should appear below the "New Site Name" field. If you have somemore links to add, repeat the process untill you have all the links added. When you are done, click "Save changes" and when it is successfully added, a new page element will be added to your Layout, normally at the top of the widget/page element list in the sidebar. If that is where you want it, then you are done. If not, drag and drop the new page element to where you want it, and press "Save". A reader of one of my blogs commented: "How does the link thing work? I am new at this and do not want to click on something without first knowing what will happen. (chicken.)". Well, with the amount of phishing going around these days, it is wise to be "chicken" as you may get scammed. I am going to do one thing here. I am going to create a link to my enviromental blog (hoping to get more greenies) althought the link you see is something else. Important: Your bank account needs verifying. Please log in and confirm your account details at Citibank login page (close new window to get back to this page). Try clicking on the link and see where it takes you. I promise it is only an innocent environmental blog and totally family safe, and is no scam. I hope you will also enjoy reading that environmental blog. Note that if I happen to be a scammer, I may specially creat a page that mimik Citibank homepage with a login section which will record your user name and password. A wise "chicken" will first hover over the link and look at the taskbar at the bottom of the page. The actual URL for the link will be displayed there. This is for FireFox and Internet Explorer. For FireFox, an additional aid for security is if you ever land on a secure site like Citibank, the address bar background will be colored yellow, otherwise it will be just the normal white background. This is an additional reason for IE users to get FireFox (close new window to get back to this page). Try hovering your mouse over the "Citibank login page" link and observe what you see. Also, if you are using FireFox, notice that the address bar background color is white and not yellow as it should be for a secure bank login page like Citibank and should alert you that it there is something not right. For Opera, when you hover your mouse over the link, a "pop-up" will appear to show the actual URL for the landing page of the link. If you want to learn about how to make clickable links, read post How to make clickable hyperlinks (click "BACK" button to get back to this page). Note: This is for blogs using the old classic Blogger template. For those using the New Blogger template, refer to Putting a copyright notice that automatically update. You may also be interested in What to do when your blog content is copied and how to discourage copying. Delete the comments tags <!-- and --> and the text in between, and replace it with a copyright note, for example: copyright Peter Chen. All rights reserved. (Note: the special HTML for is actually an image of the special HTML character, and you will have to manually type it in rather than just a copy-paste operation). Note: If you have any problem with the codes, please put your comment in the comments section below. New Blogger (formerly Blogger beta) templates for posting large photos, etc. As an example, let's say you want the stuff to appear before the profile section. You will then add the stuff just before the <$BlogMemberProfile$> tag. The rest, I think, is self explanatory in the screenshot. Please note that other than Thur's template, Ramani's template and Stavanger's templates, which I have used for some of my blogs, I have not tested any of the others and cannot vouch for them. For an updated version of this tutorial, go to Blogger template tutorial: Adding content via the template. 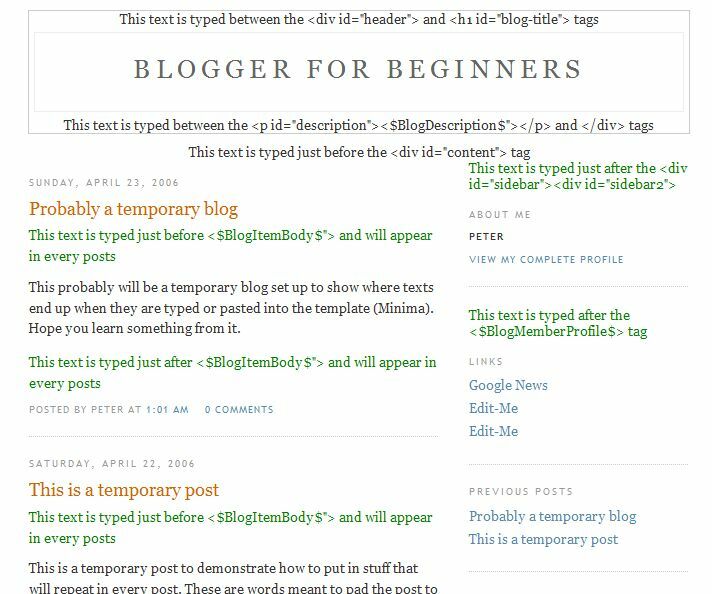 Update: Blogger has updated their default template which uses LAYOUT. However, this post is still relevant for those using the old classic Blogger template. A template is a set of HTML files which define the appearance and functionality of the blog. You can use the templates that are provide by Blogger, customize the provided template or write your own. To access Blogger template, log into the Dashboard, select the blog, click TEMPLATE tab. You will see the template displayed in the edit template window. If you have already done some customization, it is a highly advisable to always backup your template. 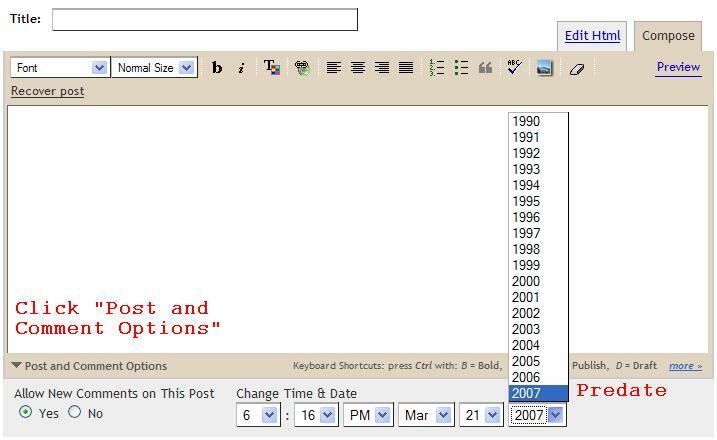 To backup the template, highlight ALL the text of the template, right-click and copy (or ctrl+C), paste into Notepad and save under a suitable title like dummies17april06. Saving a template has saved the woes of many a blogger. The Blogger template has 3 main components - HTML (Hyper Text Markup Language), CSS (Cascading Stylesheet) and Blogger tags. 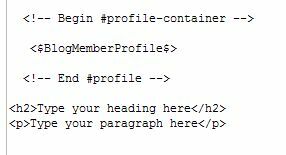 HTML tags tell a web browser how to display the page. It is a good idea to have some knowledge of HTML and a good place to learn is the online W3schools. CSS control the style and layout of the webpage. You can also learn about CSS in W3schools. When you submit a post to Blogger, it is saved to their database. When you publish something, the Blogger tags tell Blogger publishing program which information to fetch from their database and put it on the webpage. <ul> and </ul> are the opening and closing tags for an unordered list, while <li> and </li> define a line of the list. This block of codes was put in the Blogger tag so that you can conveniently edit it to suit your wishes. You can easily replace http://news.google.com/ and Google News with an URL and description of your own. Similarly for http://help.blogger.com.... and Edit-Me. You may want to customize your blog by adding stuff like HTML, etc, to the template. For more information on this, go to Blogger template tutorial Part 2. */ and /* surround things meant as comments (information). It is only meant for the person reading the template and is not taken into consideration by the browser. To learn more about CSS, go to W3Schools. When you submit a post to Blogger, it gets saved into their database, and this is where Blogger tags come into play. Blogger tags tell their blog publishing program which information to fetch from the database and put on the webpage. There are 2 main types of Blogger tags: item-level tags and page-level tags. 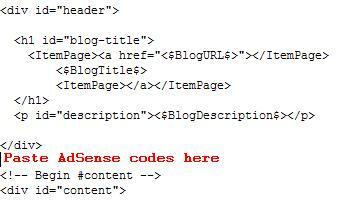 Item-level tags are those tags that have the $ sign in them, such as <$BlogItemAuthor$>. The tags get the actual information from Blogger's database and put it on the web. <$BlogItemAuthor$>, for example, display the blog author's name. commands that this is where the browser have to display Archive URL and the Archive Name. 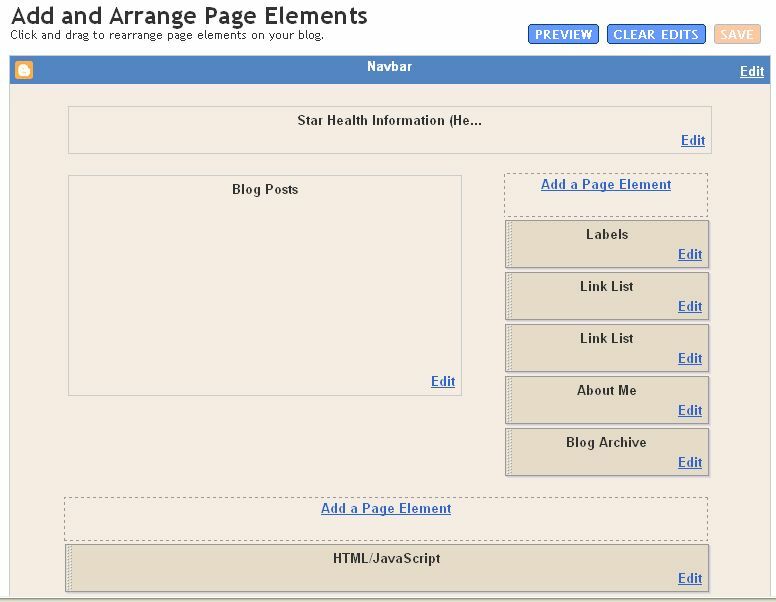 For more on templates, go to Blogger template tutorial Part 2. Why is it important to backup your blog? You got to protect it from accidental delete (not rare). Another matter to consider is the stability of the blogging and web hosting service and its hardware. Blogger, even though backed up by the giant Google, faced some hiccups recently because of a hardware problem and caused a real scare among bloggers recently. How to backup your blog? One simple way is to set up your blog so that each post you make is emailed to a chosen email address, preferably specially created for that purpose. Click SETTINGS tab, then Email, and add your chosen email address at BlogSend Address. These, however, will be pure text, and does not include the HTML and that means you will have to reupload your photos and redo you links, etc. There is an easy way to backup your blog. Download and install Blog Collector Lite (close new window to get back to this page). This is an easy-to-use non-expiring free software. There is a provision to Synchronize Blog, which means that subsequent backups only backup the new updates. When you have collected enough material, you can even choose to publish it as a book, either in Word or PDF format. They also have a paid version. Another way is to download HTTrack Website Copier (close new window to get back to this page). It allows you to download any WWW site from the Internet to your computer, building recursively all directories, getting HTML, images and other files. This method will be a bit labourous if you had not done it right from the beginning and have tons of posts. 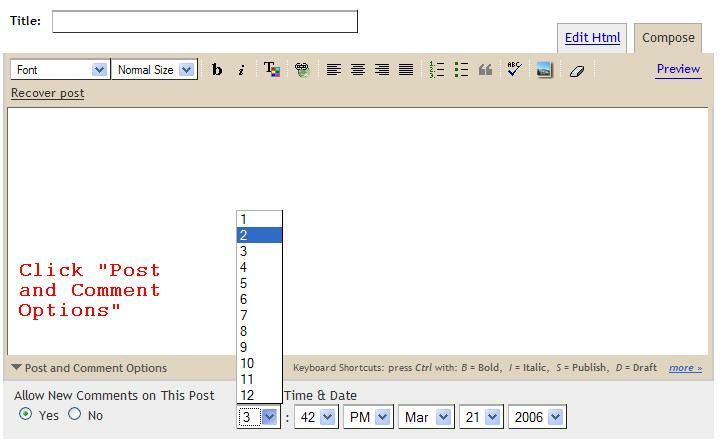 In the post editor, make sure you are in the EDIT HTML mode. Highlight everything inside the post editor window (click inside the window and press ctrl+A), right-click and select copy (or ctrl+C) and then paste it into Notepad (right-click and select paste or press ctrl+V). With this method, you will have all your links, photos, etc backed up. One should not forget to backup the template. To backup the template, sign into Dashboard, select blog, click TEMPLATE, highlight all the template, right-click and save to clipboard. Then paste it into Notepad or NoteTab (close new window to get back to this page). 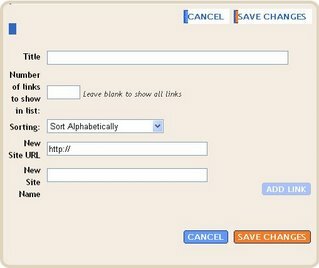 Save it under a file name like blog title-date each time before you make any changes to the template. Well, if you have neglected to backup your blog and/or your template, what you will have to resort to is to follow the steps outlined in "How to recover from an unintended delete" (click "BACK" button to get back to this page). Blog Collector Lite has worked well for me because I used the standard Blogger Minima template for my blogs. If you are using standard Blogger templates, you will be able to backup all your posts right up to the beginning. If, however, you are using non-standard non-Blogger templates, or have modified the Blogger template extensively, Blog Collector only backup the posts in the main page. In this case, it is probably better to use HTTrack Website Copier for your backup. In an earlier post "How to do categories" a simple method was described using del.icio.us as a workaround for doing categories for Blogger. However, a reader has indicated that she is not familiar with del.icio.us tagging system. That is the reason for this post. Del.icio.us is a popular online public bookmarking system that is now owned by Yahoo and is a big improvement over the conventional bookmarking system. In the conventional bookmarking system, the bookmarks are stored in individual computers. This means that when you are away from the computer, the bookmarks are not available. Also, when the bookmarks become too numerous, they become difficult to find. The advantage of Del.icio.us bookmarking system is that the bookmarks are available wherever you have access to the Internet. You can also organize bookmarks through tags (words that describe an item saved on del.icio.us), which make them easy to find later, you can see which are the sites popularly tagged by others, or find related sites tagged by others. For example, you have an interest in astronomy, you do a search for astronomy, and there you will find a tag for astronomy. You click on the astronomy tag, and you will see all the sites which had been tagged with the tag astronomy on the page. Del.icio.us is a wonderful resource I would recommend to anyone. To sign up for Del.icio.us go to http://del.icio.us/ and choose your user name and password. After you register, you will be taken to a page where you can install an extension for Firefox as shown in screenshot. (If you are still using only Internet Explorer, I would highly recommend you to switch to Firefox as it is a better and more secure browser. To read why you should have Firefox, and also to download Firefox with the Google toolbar, go to Firefox Alert. After you install the Firefox extension, you will see 2 buttons on the toolbar - "My del.icio.us" button and the "Tag this" button. This is very convenient. When you click on the My del.icio.us button, you will be taken to a page where all your tagged sites are displayed. When you want to tag a site, all you have to do is to surf to the site, then click the "Tag this" button and a pop-up will appear (see second screenshot). Here you will enter the name of the tags for the site (you can name one or more than one tags). You can also select the recommended tags shown below. In the screenshot (click on image to enlarge it), I have selected the tags blogger and tools for the site. You may also jot notes in the 3rd box (not compulsory). When you are satisfied, you click SAVE and it is done. When you click the My del.icio.us button you will now see the tagged site displayed. See http://del.icio.us/dummies. Also, on the top right hand corner, you will see all the tags you have use. The tags I have used for an account I set up for this blog are Introduction, Basic, General, Blogger_specific, Popular_or_useful, AdSense and Increase Traffic. If I click on General, I will see all the sites I have tagged with the tag General. This property can be used to do categories for Blogger. Blogger has no provision for doing categories. 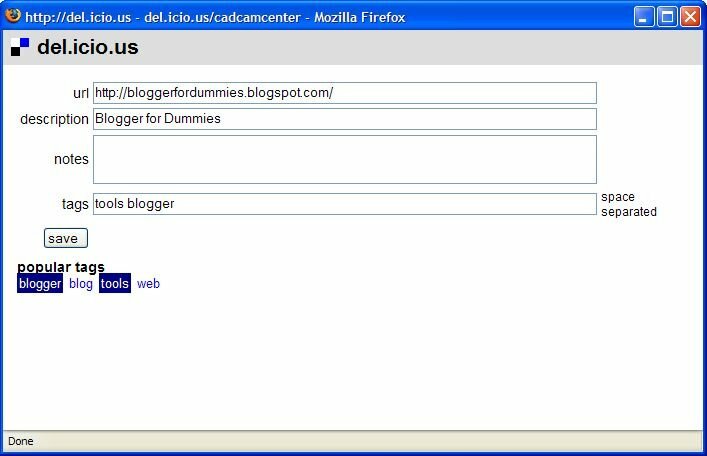 Del.icio.us has been widely used as a workaround to make categories for Blogger. To see a simple method which this blog used, go to "How to do categories". UPDATE 22 July 2008: This is an old post done before LABELS were introduced. 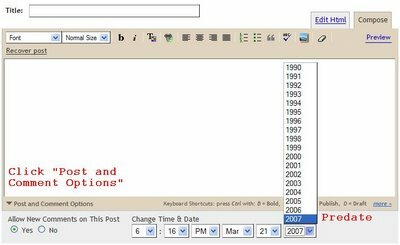 For those blogs still using old Blogger classic template, please refer to Label (categories) list for old classic Blogger template and Scroll box for labels (categories). 2. Go to the post page for the post you want to tag and tag it. 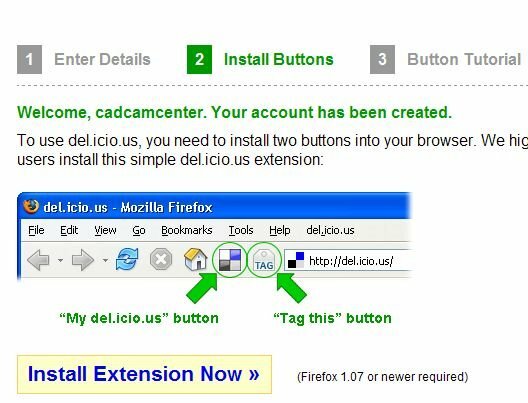 If you are unfamiliar with how to do these, click this link: Introduction to Del.icio.us (Click "Back" button to get back to this page). On the top-right hand side of del.icio.us page click on the tag you just created, and on that page note the url. The easiest way to do this is to highlight the url on the address bar and copy it. An alternative way to do it is to right-click on the tag and select "Save link as..." (this is for FireFox. For other browsers, the wordings will be different). 3. Log into Dashboard, select the relevant blog for which you want to create categories and click the TEMPLATE tab. 4. Creat a new "paragraph" or "links" in the sidebar by adding the codes you see in the screenshot below into the template where you want the "Categories" to be. 5. Change the url and "description" of each tag you have for your "categories"
6. Repeat for the other categories you want to add. Add more links if you have more than mine shown in the screenshot, delete the excess if you have less. 7. Preview the changes (by clicking the PREVIEW tab on the template editor to make sure this is what you want. Make corrections otherwise. 8. Save the template and republish. 9. Surf to each posts and tag them with one or more categories. 10. A reminder. It is always a wise move to save the template before you make any modifications to it. To familiarise yourself with how the system works, why not try it by clicking on some of the categories at the top of the sidebar. P.S. Got the idea for this from this website. For other more complicated ideas on how to do categories for Blogger, go to Fresh Tags, Blogger categories with del.icio.us, Freshblog, Labelr. For a more comprehensive and updated post, refer to How to recover deleted post (updated). You have accidentally deleted some posts or links, etc., or you may even have messed up your template, and you need to recover from the mistake urgently. What do you do? Note that it is a cached copy and not the current corrupted copy. Copy what you need from this cached copy. If it is something in the template, do a View>Page Source to get the template. You cannot copy the whole of the source codes to paste into your template as it also contain the codes for your post/s. Only can only copy the relevant part of the source codes (for example, customization such as links) to make easy a transition from a corrupted or accidentally deleted template to a new template. Alternatively, you may type in the full url into the search box and it should turn up most of your posts. If you can't find any cached copies in the search engines, another place to try is the Wayback Machine. (For an updated version of this post, go to Sidebar slide to the bottom of the page: What to do? Other things you can try is to do some detective work. Think back to what you did before it happened. Undo that and see if that helped. and change the widths to, for example, width:500; and width:270; respectively (note that they total up to less than 800). Preview and see if the changes are what you want. If so, save the template. Always remember to backup your template before you fiddle with it. New Blogger template for posting large photos, etc. Finally made the switch to a 3-column Minima template for the blog, curtesy of Meneer Thur. I think it is much better now, but am worried about those with small screen. Will appreciate you leaving your reaction to this change in the comments section. There was a small initial snag. The content of the first post was way down from the post title. To solve this little snag, go to SETTINGS > FORMATTING and set the "Enable Float Alignment" to no. When the setting for the "Enable float alignment" was set to NO, the problem went away. If you want to have a 3 column template too, you can get it from here: Thur's" Template. Just download the template you like and replace your current template with it . (This is an easy way for you to add a third column to a 2 column template. For those using the more common Blogger template where there are lots of blank space on both sides of the screen, this is also an easy way to get rid of the blank spaces.) Don't forget to save your old template before you do the replacement. In addition to acting as a backup in case anything goes wrong, you can also copy things like links, codes, etc, to paste into your new template. Doing this has saved me some work in changing over to the 3-column template, and also quite a bit of work when I decided to change back to the 2-column format. If you want to roll your own, you can try to follow Meneer Thur's 3-column template tutorial. UPDATE 2 November 2006: Blogger for Dummies is back to 3 column again. This is because I found a way to make the blog acceptable for those with 800x600 screen resolution. 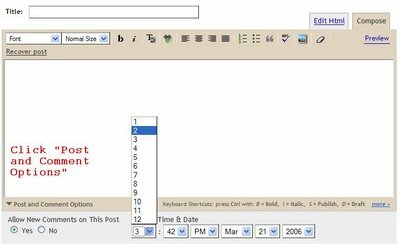 See post Blogger template tutorial: 3 column template (close new window to get back to this page. UPDATE: April 23, 2012: Looks like Blog Explosion is kaput. All the links to them is no "503 Service Unavailable". Got to disable all the links. Here is an easy way to add a blog directory to your blog and add your blog to MyBlogDirectory (and increase traffic to your blog at the same time). Click on My Blog Directory (this has been made a hyperlink for your convenience). This will take you to My Blog Directory. At the bottom of the page, click "ADD YOUR BLOG" and follow instruction. I will explain how this will increase traffic to your blog later. Everyone needs lots of content on their blog to keep the attention of people that visit, so why not add a blog directory? Adding a Blog Directory to your blog means more sticky content on your blog which attracts repeat readership. People who read your blog directory may want to add their blog to your directory. When they do so, it uses your BlogExplosion referral url and you are credited for the sign-up (to make a blog directory for your blog, you will have to sign up for BlogExplosion (free) I have used various blog exchanges and of all of them BlogExplosion is the best). This means more BlogExplosion referral traffic to you! Your blog will appear in mine, in other's directory as well as BlogExplosion's directory, so you will be getting more incoming links to your blog. There is also a link at the top of your customized blog directory that means people can get back to your blog easily. To read about how BlogExplosion can 'explode' traffic to your blog, see "How BlogExplosion 'explode' traffic to your blog". BTW BlogExplosion is family safe as they don't allow blogs with explicit sexual content, images or text, severe profanity, hate blogs, blogs that promote violence and death, or blogs that support or encourage any kind of illegal activities. This post have been updated. Have a look at the improved post: Getting Blogger to host your photo for the profile, header, etc. If you want to have a photo for your blogspot profile, you will have to host your photo on the web with a photo hosting service like photobucket . This will involve registering for an account. If you register for a free account, you have to log into photobucket at least once every three months, otherwise the account will be deleted. Even if you register for a paid account, you will have to keep your subscription. This is a work around to get your profile photo hosted by Blogger. Upload the photo into an empty post specially created for this purpose. If you don't want to have the post in your current blog, you can always create a special blog for this purpose, or post it to the current blog and resave it as draft after you have obtained the url for the photo. After you have posted the photo, go to that post on the web and click on the photo. This will take you to the page on the web where the photo is hosted. Copy the url from the address bar. Sign into Dashboard, click the EDIT PROFILE button on the top right hand of the page. Scroll down and look for the place to enter your photo url (see screenshot above). Paste it there and you are done. This idea came from Taz Kwok. Update 27 March 2007: Things have changed with the introduction of New Blogger. Now if you delete the photo, it will be gone from the Web. Also, if you click on the picture to the page displaying only the photo, you can't use the URL in the address bar of that page as before. You will have to click VIEW in the menu bar, then select PAGE SOURCE to get the source code. You will have to search for the real URL of the photo from the source code. For a fuller description, go to Testing uploading of profile photo in the New Blogger (formerly Blogger Beta and Getting New Blogger (formerly beta) to host your photo for the profile, sidebar, etc. (click "BACK" button to get back to this page). The posts in Blogger are ordered in chronological order. So if you want to change the order of the posts, you will have to change the dates and/or time of the posts. In the Create or Edit posts mode, click the "Post and Comment Options" at the bottom left-hand corner and select the relevant date and time as shown in the screenshot. Note: Changing the date and time of the post will alter the url of the individual post page (permalink). So if you have any inbound links to that post, these links will be broken. Update 21 November 2010: It is no longer possible to contact Blogger Support. Google have resorted to creating Help Forums with voluntary contributions from users of their products including Blogger to provide support to other users. The Help Forums are frequented by Google Employees but most of the questions are answered by more experienced users with occasional input from Google Employees. For Blogger, go to Blogger Help Forum. If your problem is related to restoring deleted posts, blogs, gmail and Google accounts, please refer to FAQ: Restoring deleted posts, blogs, gmail and Google accounts. Update 30 March 2008: This should have come earlier, but so short of time. Now you can only contact Blogger support for account and TOS (Terms of Service) issues via Blogger Support Contact Form. If you are not already signed into Blogger, you may have to sign in before you get to the Contact form.. All other requests for support should be directed to Google Blogger Help group. I am also providing support at Blogger General Discussions. Note also the email address given below cannot be used anymore. However, if you have a suggestion, you can try Blogger Wishlist. Update 21 October 2007: Blogger keeps changing the way they can be contacted and I have given up updating this post. If you want, just try your luck. I couldn't get through just as another blogger (see latest comment) but there was another comment where a blogger said he got a reply but his problem still not solved. Wish I remember which post it was made as I would like to ask him how he got through. BTW a Blogger representative says Blogger support do read the messages but will not reply unless they want further information. Update 12 November 2006: This post is out of date. Please refer to post How to contact Blogger Support updated (close new window to get back to this page). Please make sure you read the updates there. Update 23 October 2006: Recently, Blogger has made it very difficult to contact Blogger support. The links to the contact form have now lead to a new page. Will update if I have any further information. In the meantime, you are encouraged to use the Help files and the Google Blogger Help group. Blogger support makes their contact form or email difficult to find as they want support seekers to first use their HELP section. You should also try searching through, or posting your problem to the Google Blogger Help group: Blogger Help Google group. Look also into Blogger Buzz and Blogger Status to make sure it is not a known issue that can be solved on your own. If it is anything connected to Blogger Beta, look into Known Issues in Blogger Beta. When you have done that, and you can't solve your problem, or it is not a known problem, then go to Blogger "Talk to us"
and submit your problem there. You may also try to email support@blogger.com You will very rarely get a human response. Expect an automated email response. Reply to this email. We have got human responses this way. If there is a feature you want, or you have a suggestion to make to Blogger, go to Blogger Wishlist. Update: I have got an email from a reader saying that he accidentally deleted his blog. After contacting Blogger support, and after a series of email, he has got his blog undeleted!!!! So folks, there is hope. Many readers and participants of forums asked for ways to do the above. I though a post about it will make answering such queries easier. To change the blog header/title, and to add or change the description, sign into Dashboard. Select the blog, click SETTINGS and by default you will be in the BASIC sub-tab. There you will see the field for the Title and the Description. Edit or add in the title or description you want. To make it clearer, I will add in a screenshot later. My own computer is in the workshop now and this computer doesn't have the program for me to create the screenshot . For ads after each post, where to paste the codes? Update 8 April 2008: Please note that this post was written before the New xml Blogger template was introduced. It can however be still applicable if you are still using the old classic Blogger template. If you want the AdSense ads to appear after each posts, paste the codes after the <$BlogItemBody$> as shown in the screenshot above. Update: AdSense TOS place a maximum of 3 ad units on any page. Strictly, if you have more than 3 posts on the main page, that theoretically will place more than 3 ad units on the main page. I have more than 3 posts for this blog, and I have pasted the AdSense script such that the ad unit get displayed at the top of every page. In fact, I also am supposed to have a Wide Skyscraper ad unit in the sidebar. However, AdSense detect that and do not display the extra ad units. The ad unit in the sidebar will only be displayed when one go to the individual post page (permalink), in which case, only 2 ad units will be displayed, one above that post, and one in the sidebar. After reading the number of publishers who have their account suspended, I decided to be extra careful. To make sure, I contacted AdSense Help regarding the matter, and the reply was that it is OK for this particular blog. Whether this means we have to get clearance for every blogs that have this feature or not, I do not know. I think I will contact AdSense Help once more to make sure. Sure don't want to have my account suspended. You can leave things as it is and take the chance (or contact AdSense Help Center AdSense Help Center or just take the chance. Or you can ensure you comply with the TOS by adjusting the number of pages that get displayed on your main page, for example, if you only have ads in the post, adjust that to display only 3 pages in the main page). UPDATE: I have been reading numerous reports of AdSense account holders having their account suspended, often without the exact reason for the suspension being given. I have contacted AdSense Help once more for a more definitive answer but the answer were vague, just referring to the fact that one should have a maximum of 3 ad units on each page. As such, I have decided to stop using this for my site, and instead of putting ads in each post, I have put the leaderboard ad unit just below the header. Better to be safe than be sorry. Thanks for emailing us about our policies. (http://www.google.com/adsense_help), our complete resource center for all AdSense topics. Alternatively, feel free to post your question on the forum just for AdSense publishers: the AdSense Help Group (http://groups.google.com/group/adsense-help). So folks, it is really up to you whether you want to use this method to display the AdSense ads or not. UPDATE 21 January 2007: For New Blogger (formerly beta), please refer to post Incorporate AdSense ads into your New Blogger posts. First, you must have an AdSense account. If you don't have one, apply to join the program. There are bloggers who have got approved AdSense accounts and they may put referral buttons on their blogs, and you can apply for an account via the referral buttons on their blogs. One of the blog is AdSense Alert (close new window to get back to this page), which also have more details about the AdSense program. This blog itself is another site. You will first need a site with reasonable content for them to review. The easiest way to get a site is to start a blog. A friend of mine got his application approved with a blog with just one post. There are various ways to earn through AdSense and they are described in this post: How do I earn from Google AdSense (close new window to get back to this page). You must then generate the scripts for the ads, referral buttons or searchbar. This post describe the way to generate scripts for them: Generating scripts for your AdSense ads, referral buttons and searchbars (close new window to get back to this page). For ads after each post, where to paste the script (click "Back" button to get back to this page). For other positions, this post can guide you: Blogger template tutorial - adding content via the template (close new window to get back to this page). For those using the Blogger beta template, read this post: Adding advertisements, hit counters, etc to Blogger Beta (close new window to return to this page). For those who want to add a working Google searchbar, see this post: Testing adding of Google AdSense searchbar to Blogger beta blog (close new window to get back to this page).